There is nothing quite like a good fruit salad and this one is amazing! 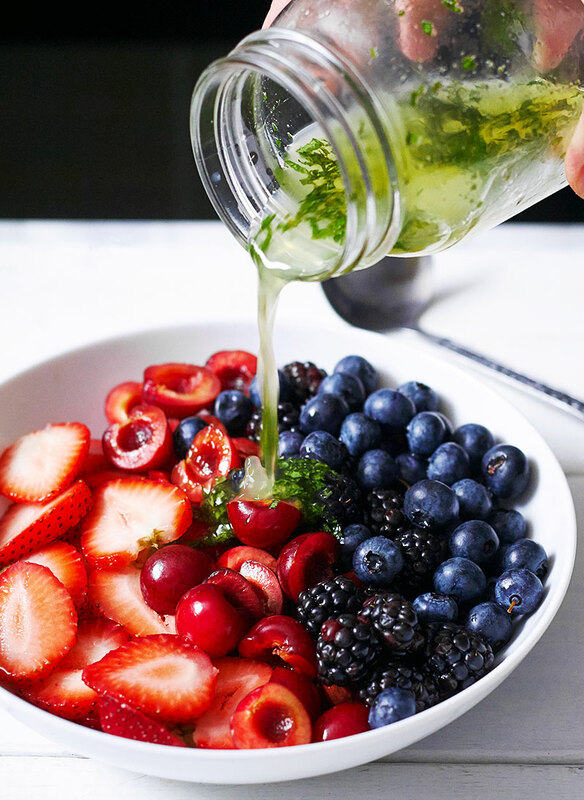 Just throw red berries in a large mixing bowl and generously drizzle the honey-lime-mint dressing to bring out the summery freshness. 1. Add all fruit to a large mixing bowl, and gently toss together. 2. In a separate bowl or mason jar, whisk together honey, mint and lime juice. Drizzle the salad with the dressing, to taste. Serve chilled.